Strobing & Illuminate has been the beauty world’s favourite on-makeup trend last year and I think 2017 is no exception. 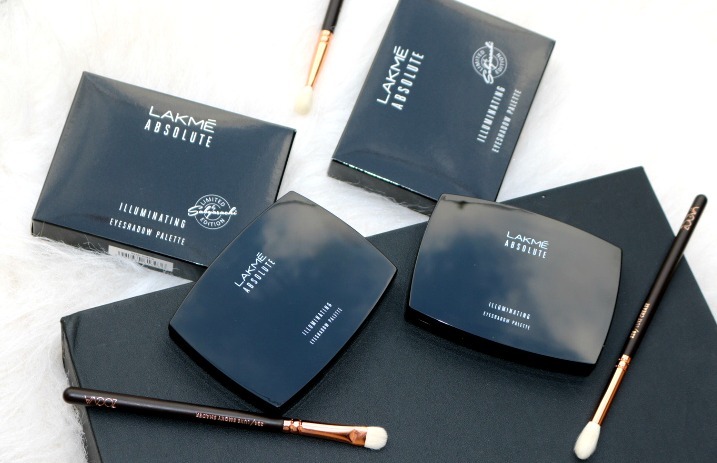 ‘The Illuminate Look’ is all about shimmer, translucent and lustrous makeup, with a reflective shimmer finish. While it’s been seen across runways, the metallic hues and shimmer make up is also perfect for the festive season. 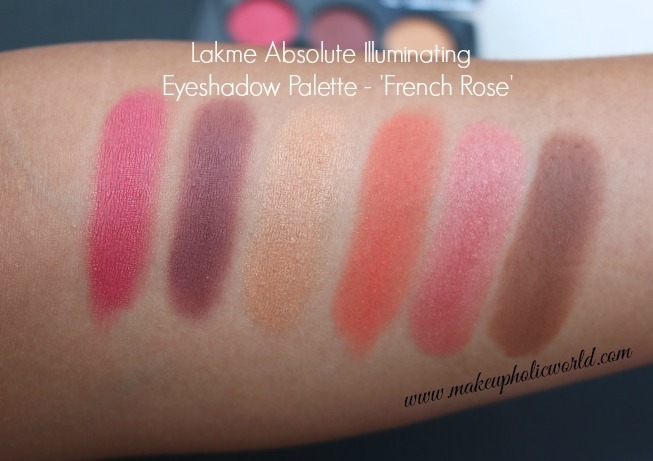 Lately, Lakmé has been killing it with it’s new launches. 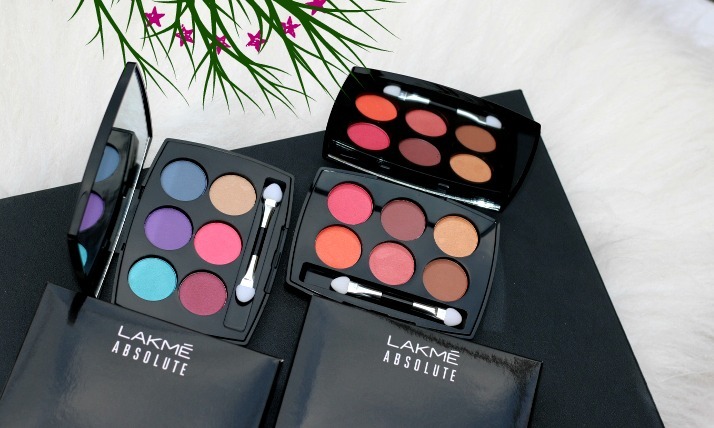 Lakmé launched 2 new Illuminating Eyeshadow palettes that are ideal for all festive looks. 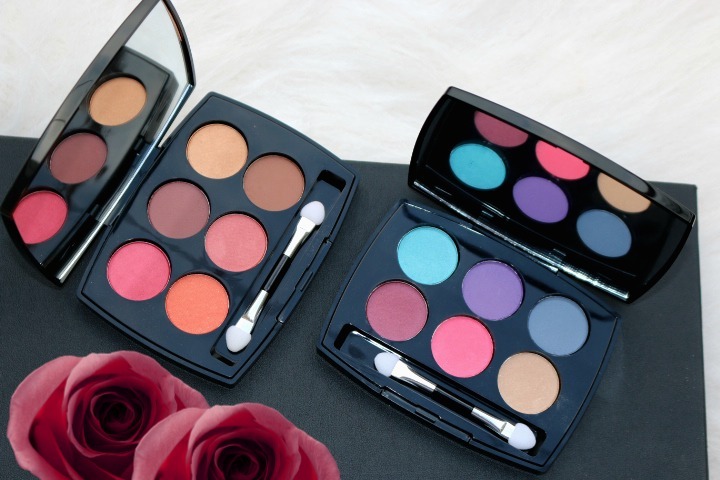 Inspired by the vibrant colours of the season, the two gorgeous new eyeshadow palettes are named Royal Persia and French Rosé. 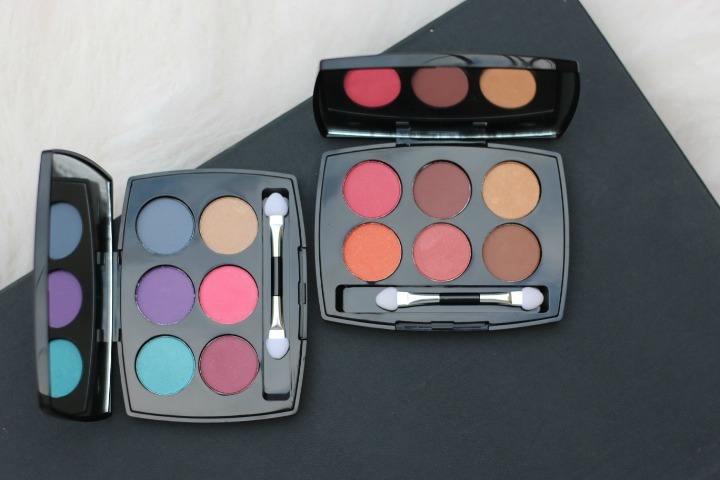 In this post I am featuring these two palettes. 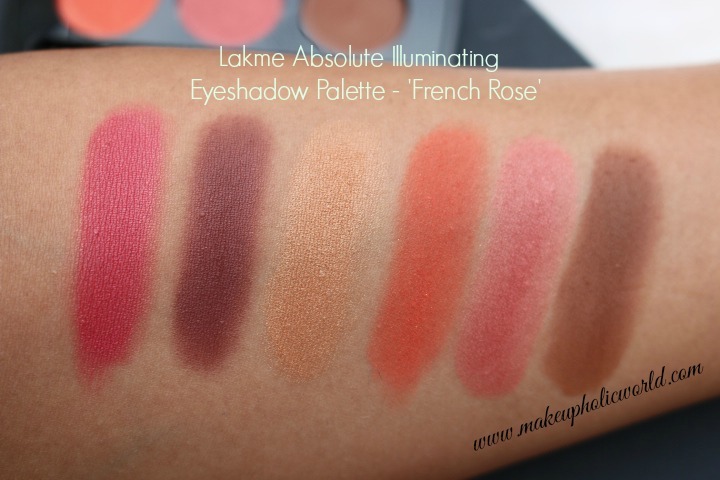 The Lakmé Absolute Illuminating Eyeshadow palettes are priced at Rs. 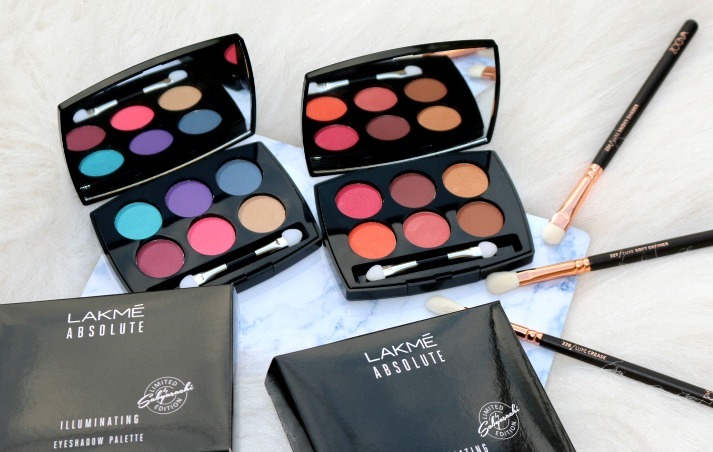 995/-These limited edition eyeshadows by Sabysachi Mukherjee have 6 versatile colours to play with and create stunning looks that are bound to turn heads. 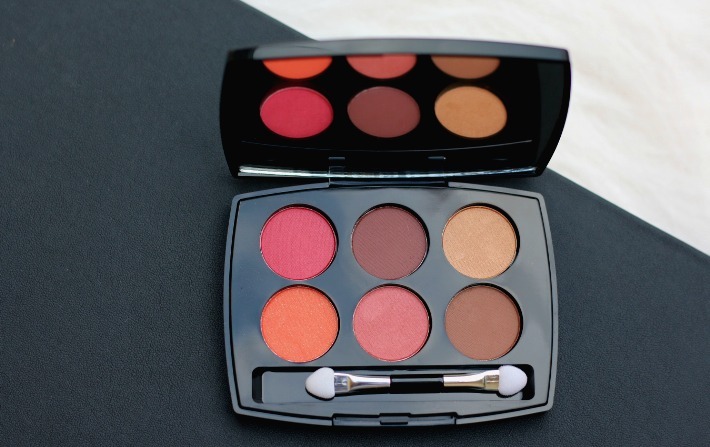 Whether it’s the lovely plum tones of the Royal Persia palette or the warm earthy shades of the French Rosé palette, these unique shades are absolute must-haves. 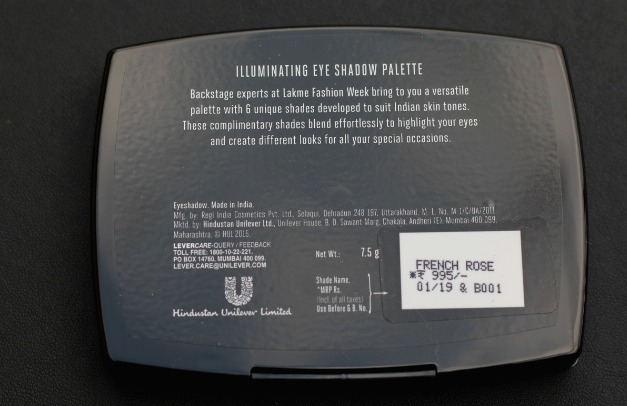 These limited edition eyeshadow palettes are designed by fashion designer Sabyasachi Mukherjee. 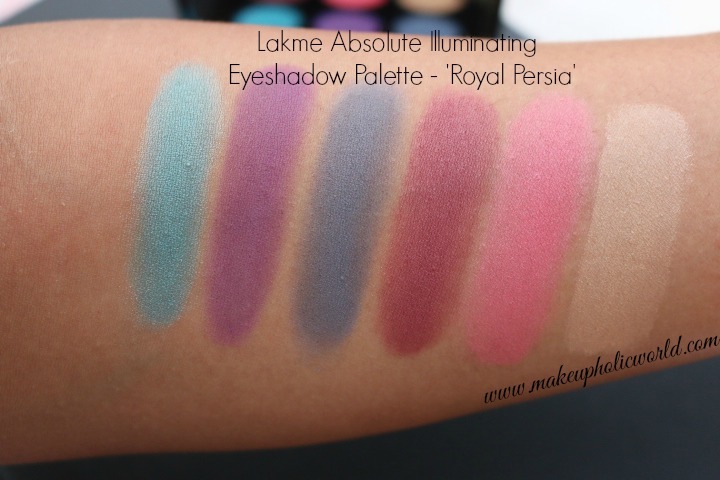 ‘Royal Persia’ palette is gorgeous with hues of purple/pink/blue toned shades and ‘French Rose’ palette has more warm browns/coppers. 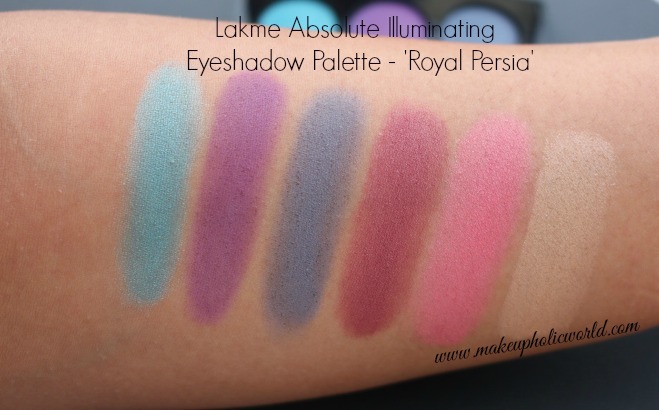 I instantly fell in love with the ‘Royal Persia’ Palette. Packaging – I am so in love with the packaging. 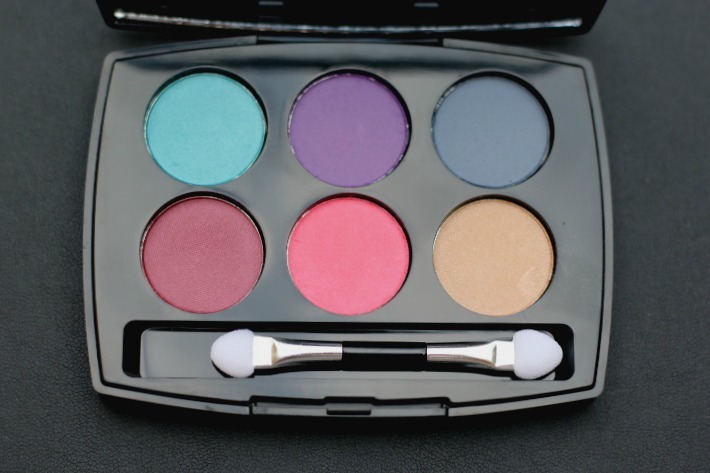 It’s sturdy and the eyeshadows come in a mirrored compact with a double sided sponge applicator. 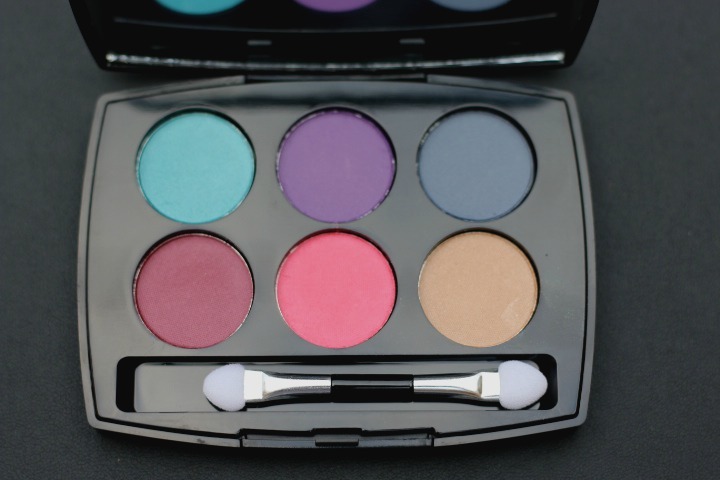 Shade, Formula, Pigmentation – Each eyeshadow palette features 6 versatile shades that blend beautifully and can be used to create a variety of makeup looks. I found the formula to be very soft and easy to work with. These are nicely pigmented too. In all my swatches you can see the double swipes of each shade. 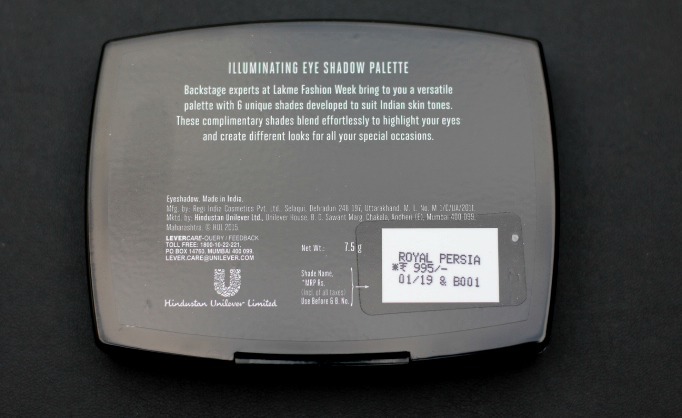 Longevity – Without a primer underneath, these shades lasts for about 5-6 hours on my normal eye lids. I really love how each shade standout without fading. 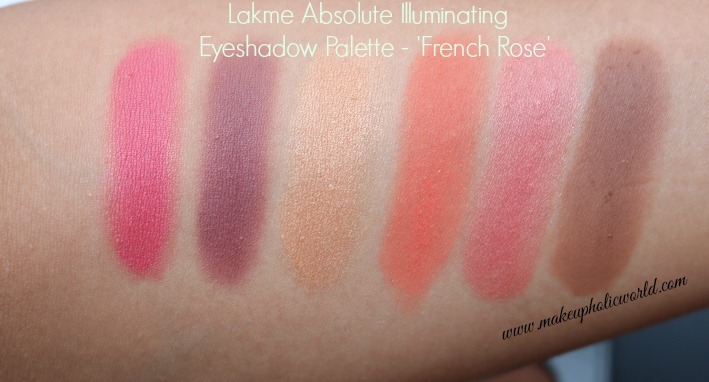 French Rose Palette is perfect for warm/neutral makeup looks. I am so in love with the shade selection. 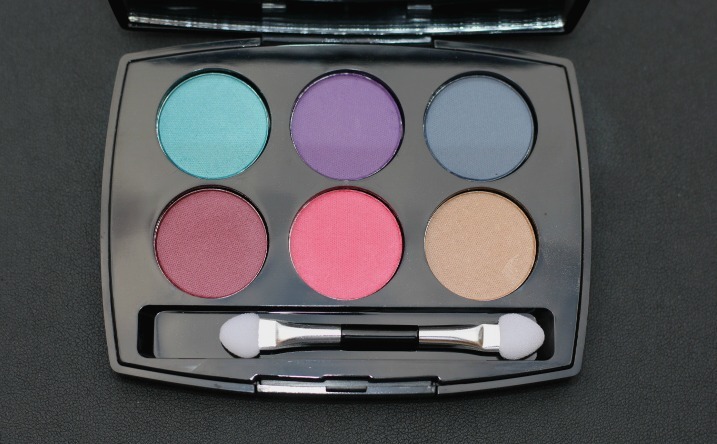 Though this palette is beautiful and features all shades/combinations that is perfect for Indian bridal looks. 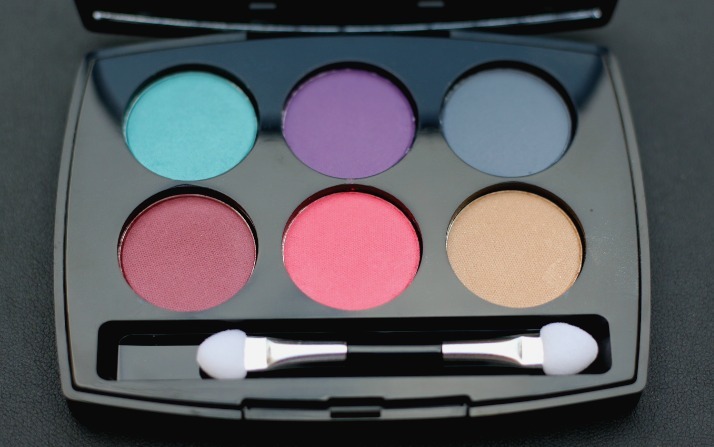 I really miss a dark matte shade in this palette. 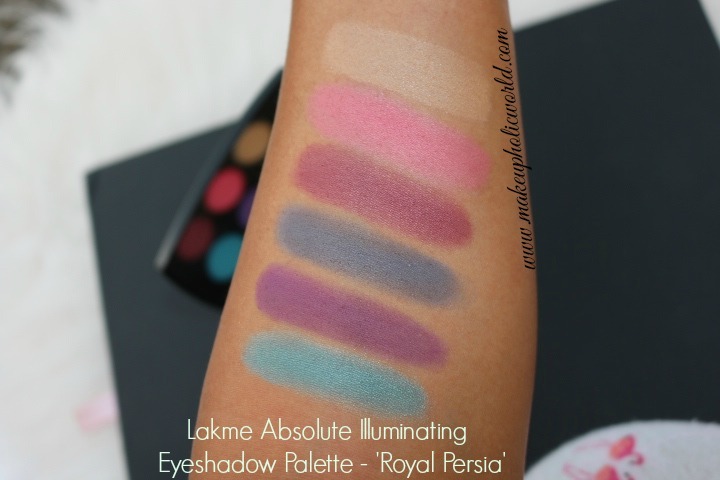 I am more a fan of Royal Persia Palette. 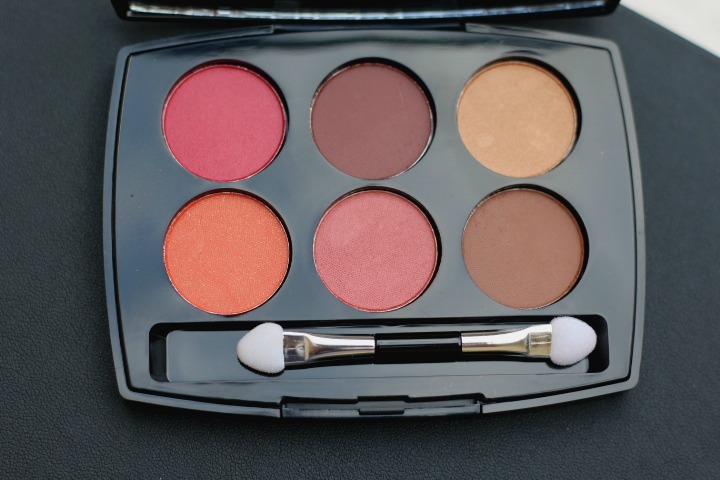 If you are more into warmer shades with orange/pink/browns – you will love this. Again, the shades were super smooth, buttery and easy to work with. Here are the swatches ( double swipes of each shade taken in natural day light with and without flash. 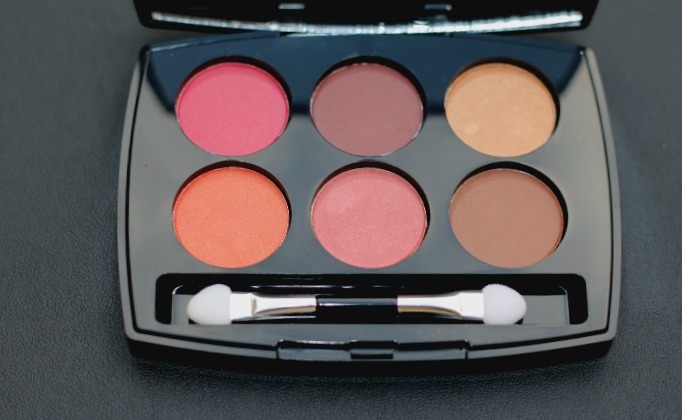 All of the shades were super blendable and were with excellent pigmentation. I was super disappointed with online swatches. But when I received it from brand PR and swatched it myself. I was so happy with the pigmentation of this. 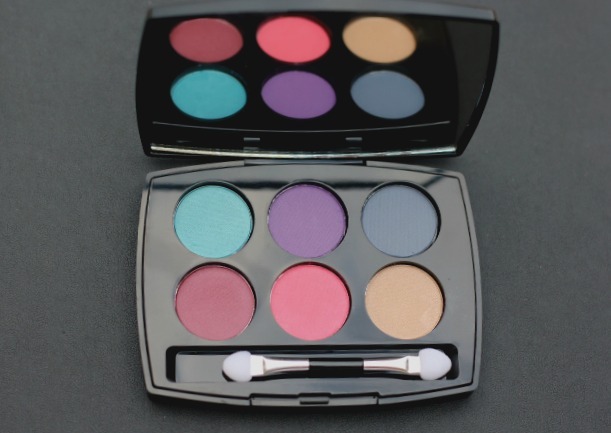 All of the shades are really pigmented and they make such a great color combination. 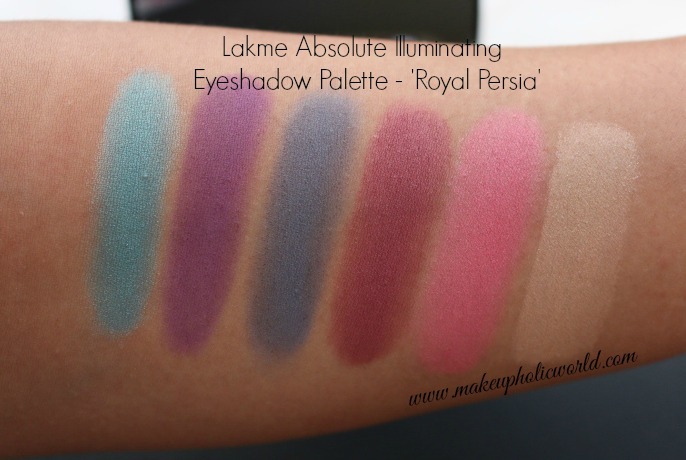 ‘Royal Persia’ palette is my favorite out of the two and I can totally see myself wearing these shades a lot. Another tip to wearing these are apply a primer underneath. 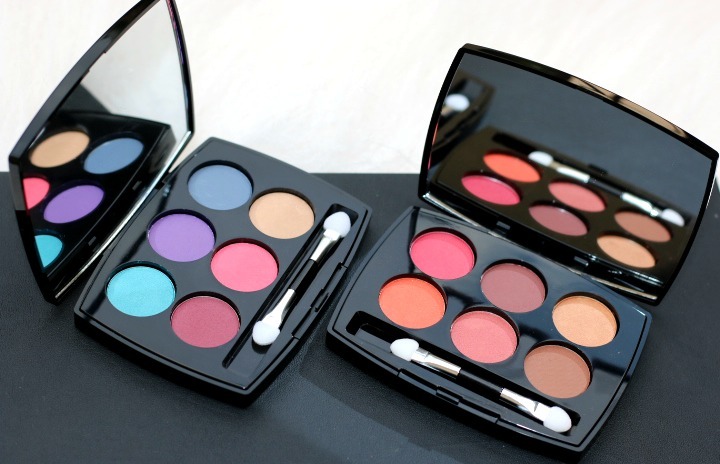 Overall, both the palettes are nicely color co-ordinated. 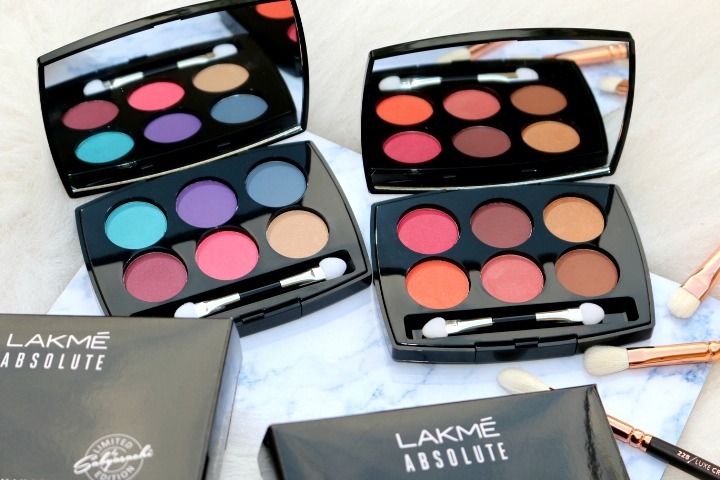 Lakme Absolute Illuminating Eyeshadow Palettes are limited edition eye shadow palettes with each palette featuring 6 vibrant colors that you can mix and match to create various makeup looks. If you are a fan of warm shades, you can go for French Rose and if you love cooler shades, you can pick Royal Persia. ‘Royal Persia’ is my favorite! 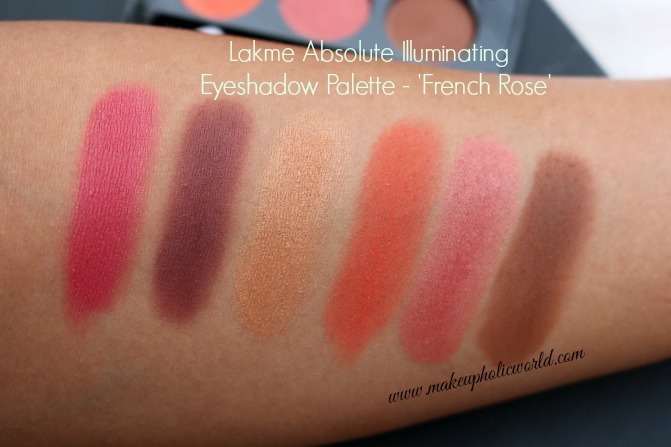 Do you like Lakme Absolute Illuminating Eyeshadow Palettes ? What’s your favorite Palette ? 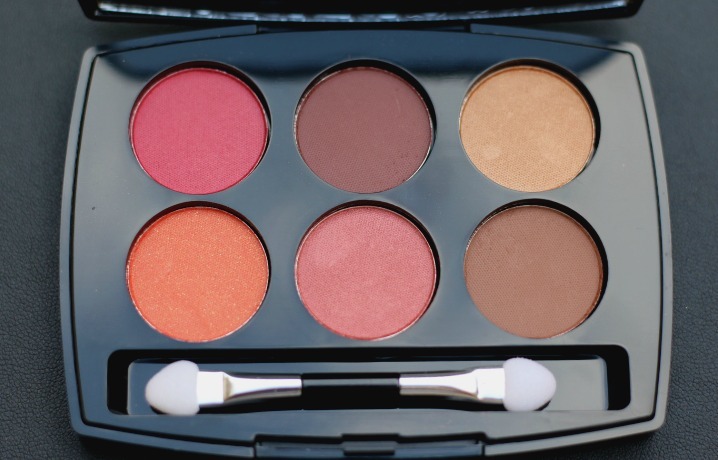 One of them reminds me of the Modern Renaissance palette which is absolutely my favourite. Do you click pictures with the 70D camera or the old one? I feel my 70D sometimes makes them look too yellow. 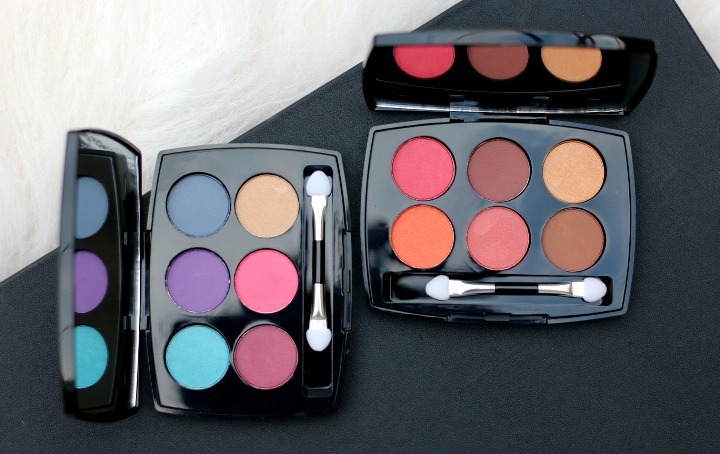 Hi dear….ABH Palette is in my wishlist… <3 I click pics using 70D itself...I love that camera so much...Reg the color change that you felt - maybe a setting change.